Athlone remain bottom of the table after another loss. Gaffney starred for Limerick tonight. KEITH LONG’S MIDLANDERS came undone at Thomond Park – falling to a 4-2 defeat at the hands of Limerick and remaining bottom of the SSE Airtricity League Premier Division in the process. Athlone had drawn their last six games on the bounce and were desperate to secure what would be a huge three points. They started in the worst possible fashion. Ryan Coulter appeared to be completely in control after just six minutes, when Limerick gifted him possession – but the Athlone ‘keeper scuffed his clearance straight to Rory Gaffney. The Tuam native took a touch before side-footing into an empty net from 25 yards. Keith Long was furious. Limerick would go on to waste a handful of chances – Rory Gaffney being the guilty party for most of them. The SWAI Player of the Month for August could have had a hat-trick inside the opening half an hour. Kieran Djilali also skipped past a host of challenges before firing inches wide of putting the hosts back in front. The home side were made to pay for their wasted chances. An incisive move after 35 minutes saw James O’Brien spray a world class delivery towards the advancing Dylan Hayes. He took it in his stride before crossing for Derek Doyle to tap into an empty net – much to the delight of Athlone’s merry band of followers. The home side regained their advantage ten minutes into the second half through Kieran Djilali. Rory Gaffney capitalised on a bizarre deflection that saw him clean through on goal. He shot early but Coulter got down well to deny him. Djilali followed in to tap home. A fine solo effort ten minutes later would see Djilali double his tally for the night – cutting in from the left and slotting calmly past Coulter to seal the points. Alan Byrne headed home in the last minute to give Athlone hope, but Rory Gaffney netted a minute later to confirm the result. Limerick: Ali Abass; Patrick Nzuzi, Stephen Folan, Sam Oji, Shane O’Connor; Prince Agyemang (Joseph Ndo, 76), Shane Duggan; Ian Turner, Lee-J Lynch, Kieran Djilali; Rory Gaffney. Subs not Used: Barry Ryan, Michael Leahy, Shane Tracy, Darragh Rainsford, Ross Mann, Val Feeney. Athlone Town: Ryan Coulter; Brian Shortall, Alan Byrne, Derek Prendergast, Stephen Dunne; Dylan Hayes (Eric Foley, 65), James O’Brien (Ian Sweeney, 69), Mark Hughes, Kealan Dillion, Derek Doyle; Sean Brennan (Philly Gorman, 80). Subs not Used: Paul Skinner, Aidan Collins, Barry Clancy, Graham Rusk. Email “Gaffney brace sees Limerick past Athlone”. 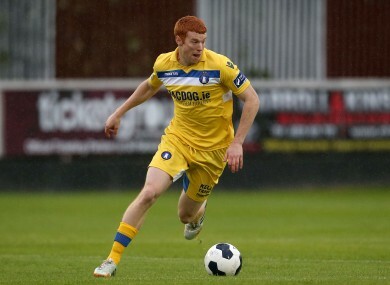 Feedback on “Gaffney brace sees Limerick past Athlone”.